Nobody in Herald Springs can believe that their small town served as the scene for a major criminal showdown. With the events of the annual gala behind them, they just want to get back to their normal lives, but the members of the local “drink and gossip club” know the drama is far from over. Brooke’s got a stalker, Annabeth has a criminal mastermind bent on her destruction, and even Vi is being taken for a ride by someone she thought was her friend. If only they could turn to each other for help, things might not be so bad—but with the women at odds with one another and only Jesse in good graces with the rest of the group, that isn’t likely to happen any time soon. Texas and Tiaras is the 2nd book of the Book Cellar Mystery collection, following Walker Texas Wife. I am hooked on this series. It took me forever to pick up and read the first book. I kept putting it off because the title really did not speak to me, but once I did I was trapped into the wonderful world created by this amazing author. The follow up book is just as amazing and wonderful as the first. 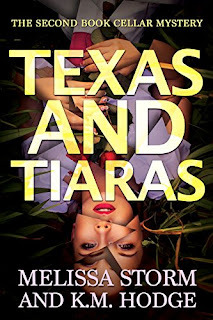 I will say that without reading the first book, you really miss so much of the characters background and connecting stories that you cannot appreciate Texas and Tiaras to its full extent and potential. The authors do try and connect the stories, but having read the first one I felt so much was missing if you try and read this as a stand-alone book. 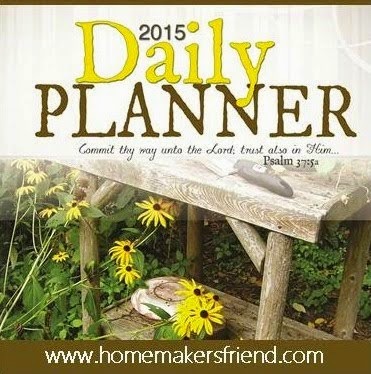 I adore the way faith is worked into each of these stories in a gentle, nonjudgmental, real way. You see how faith works differently in each character and the struggles they have from adultery, domestic violence, relationships, friendship, etc. Overall the book is amazing and always leaves you with a great cliff hanger so you cannot wait for the next one to come out. Coloring books are a great stress reliever for people of all ages. As a Social Worker, I use them for my personal self-care and recommend them to others. I am not a real fan of Magna, but I have 3 teenagers that go crazy over it. So when I saw this book I knew I could not pass it up. 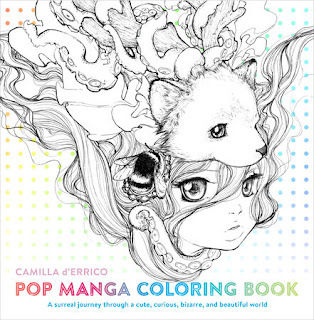 The Manga coloring book is a wonderful addition for those who love animation, magna anime and the cute and bizarre. I adored the cute little animation at the bottom of the page that helped inspire the inner creative artist in each of us. I also noticed that the cover both outside and inside since all done in black and white can also be colored to add your own personal customized flare to your book. There is so much creativity put into this coloring book that I was amazed. The book feels me a sense of curiosity, comfort, love, acceptance, pain, loneliness and acceptance. The artwork is excellent with a lot of free space to explore both inside and outside the lines J Easy book to recommend for all ages that enjoy coloring, relaxing and taking a break from life to escape to simpler enjoyments. 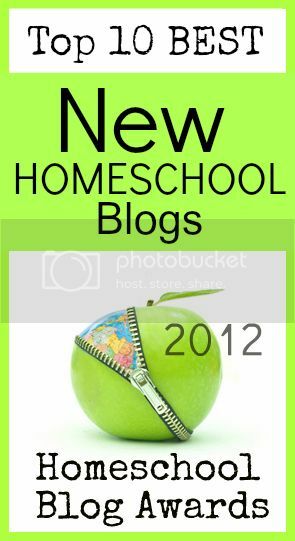 Disclaimer: I received this book from Blogging for Books in exchange for my honest review.